I love my knit Ombré hat so much. It is a great project for using up remnants of worsted weight wool. I haven't had enough close colors to make a TRUE Ombré type gradient... that is until now. 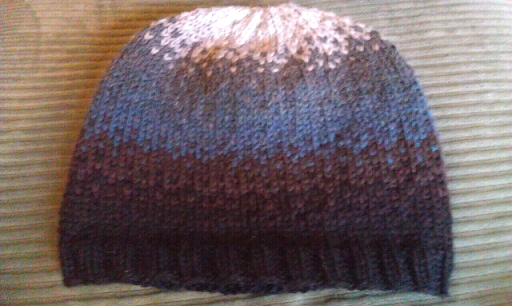 This is a mixture of greys and browns, but there is a nice dark to light transition as you approach the crown of the hat. 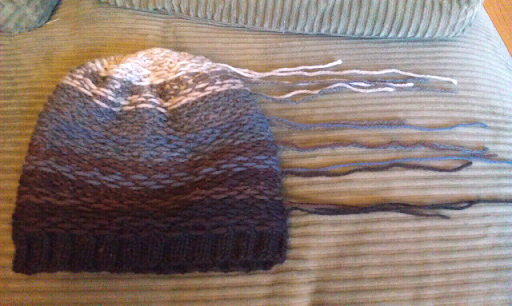 Of these 8 colors (not 9 as are in the pattern, but I'm just omitting the last one), there are 5 browns and 3 grays. (ABCFG are brown, DEH are gray.) 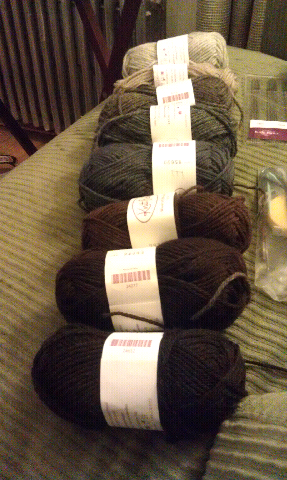 If I were using new yarns, not ones in my stash I would have selected colors that are all of the exact same hue. There are a lot of loose ends to weave in. 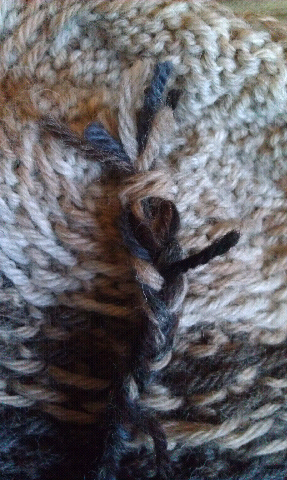 I decided to try something I saw on the KnitPicks Blog to deal with these ends, braiding them. 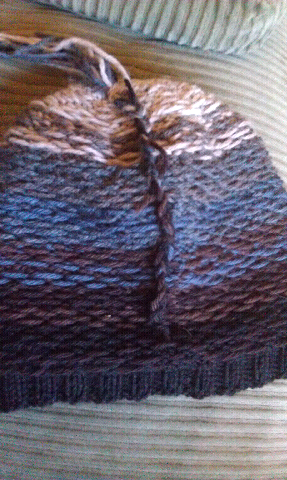 I kept the ends longer than normal, and the wove them enough to make them in a vertical column. 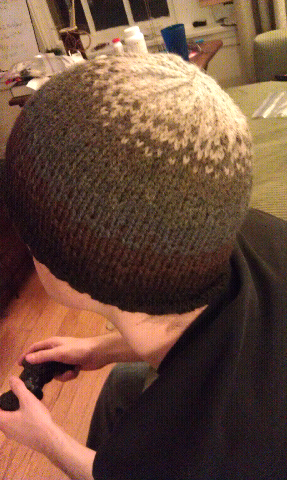 Keith likes this hat so much that it has replaced the K1B hat I made him ages ago. 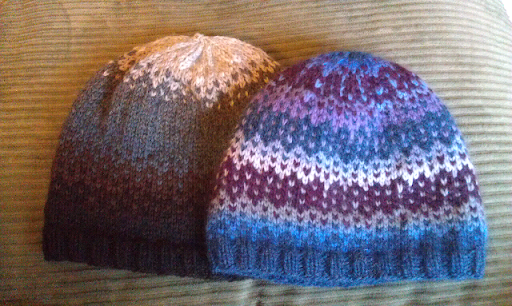 It is a warmer hat, perfect for Evanston winters. Now my husband and I match as we walk down the street!